Is Power Walking Better Than Running to Lose Weight? Regular exercise is essential to health maintenance, weight loss and improving your overall fitness. 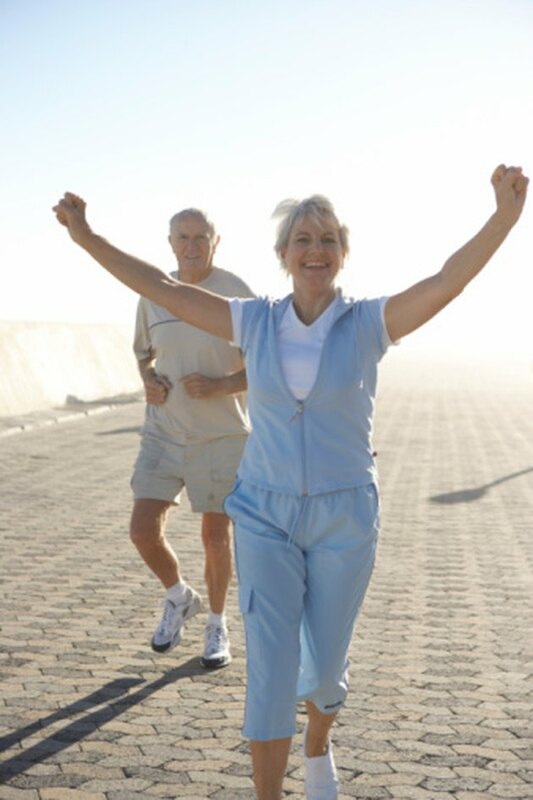 Both power walking and running provide good aerobic exercise. Power walking is typically performed at between 3 and 5 mph, which is a comparable speed to jogging. However, the techniques and weight-loss effects of power walking are not identical to those involved in running. The calories burned from power walking are comparable to those burned by running. According to the CSG Network's calorie burn calculator, a 150-pound person walking at a pace of 4.5 mph for one hour would burn approximately 307 calories. By comparison, the same 150-pound person jogging at 4 mph on a level surface would also burn approximately 307 calories. Running at a pace of 5 mph does increase the calories burned significantly -- for a 150-pound person running at this pace would burn 545 calories per hour. If you are trying to lose weight by burning excess calories through exercise, running will burn calories more quickly than power walking. Jogging at 4 mph burns the same number of calories as power walking at 4.5 mph, even though the jogging speed -- and therefore distance covered -- is less. This is because one foot always stays in contact with the ground as you walk. Running requires extra energy to get your feet airborne before each foot stroke. The extra energy burned by running in comparison to power walking is derived partly from the up-and-down motion inherent in running. Power walking is a lower-impact sport than running. Because power walking is derived from the natural action of walking, it places less strain on your body and joints than running does. Runner's knee is an injury that's much more likely to occur if you run than if you power walk. Both power walking and running have pros and cons in terms of motivation potential. You will be most successful with the exercise form that you find most enjoyable. If you enjoy running, this will motivate you and you are likely to lose weight more quickly because of the faster calorie burn associated with running. Additionally, popular running races and events -- from a 5K to a marathon -- can motivate you to measure your progress and achieve your goals. However, if you do not enjoy running -- or if you find it painful and likely to cause injury -- you may be much more motivated to power walk and to lose weight consistently this way. What Is the Difference Between Walking & Running Strides? Does Walking Burn More Fat Than Jogging?